Though Summer is officially over we wanted to take a last glance back at it and share a short review of one of Southern California’s successful German summer camps. 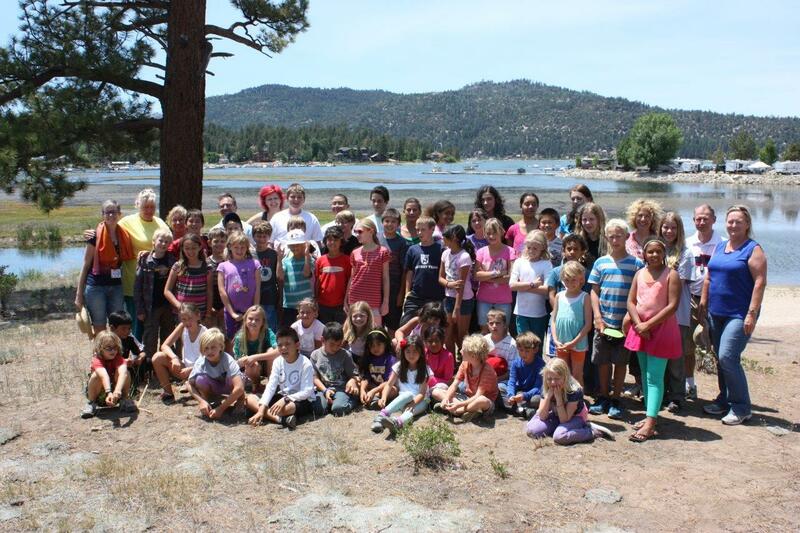 Organized by GASA, the German American School Association the German Summer Camp at Big Bear Lake is now in its second year. The camp site is close to Los Angeles and has made itself a name: Fun, adventure and camaraderie is what comes to mind for many when remembering their fun six days at Big Bear Lake. 54 students from seven to fifteen years of age and from all over California, some even from Arizona and Minnesota, arrived on a Sunday afternoon, and were excitedly looking forward to the variety of activities awaiting them. 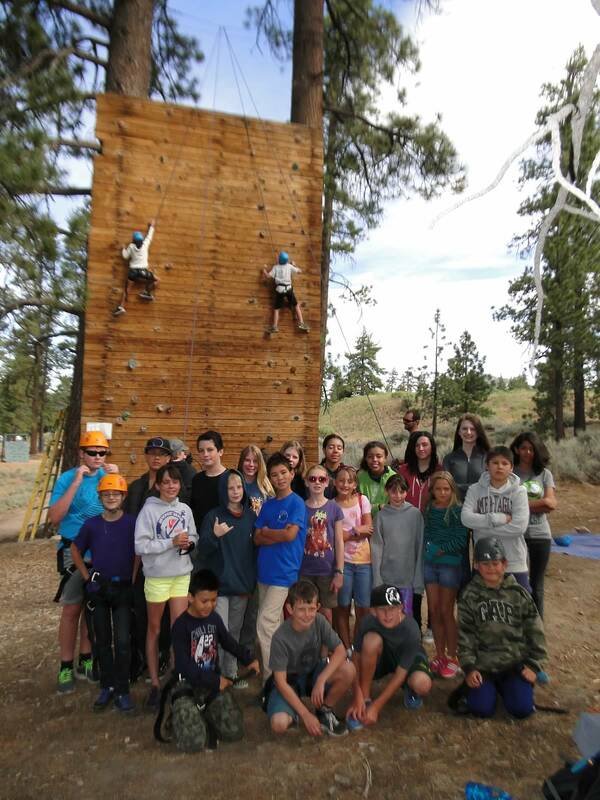 The camp’s mornings were dedicated to sports activities like fishing, soccer, golf, rock climbing and much more, after which the students had the choice of participating in baking, dancing or crafts classes. 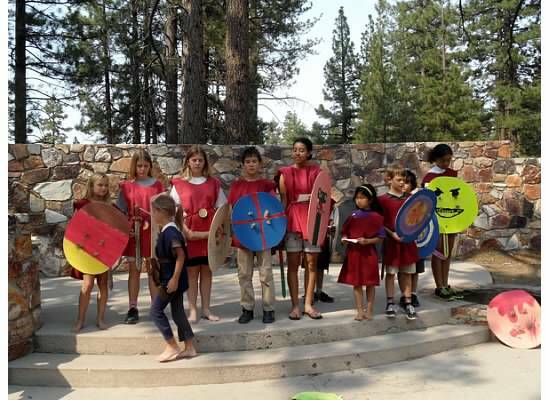 Every class covered not only the fun factor but included also teaching the children about life in the Germanic ages, while even acquiring special skills of those times. By the end of the camp for example, every child had either built a sword or learned how to weave a basket, and all of them knew how to write their name in runes. Teaching of the runes alphabet was part of the curriculum in the afternoon, when the children concentrated on the history of their Germanic ancestors. The day before last at summer camp all students and teachers went on a 1,5 mile nature hike together before returning to a cozy evening around the fire. And then the last day of camp was suddenly here, and all the week’s learning culminated in a final celebration, the exciting highlight of the camp: A fantastic interpretation of the “Die Schlacht im Teutoburger Wald” presented at the open-air theatre stage and every child had an active part in it. An exciting summer camp had now come to an end, and everyone settled down for a last get together watching the sunset over Big Bear lake. While singing songs, roasting marshmallows and making smor’s, phone numbers were exchanged, and plans were made for next year’s adventure at Big Bear’s German Camp.